The Miao People are scattered across Southeast Asia and really have no homeland of their own. 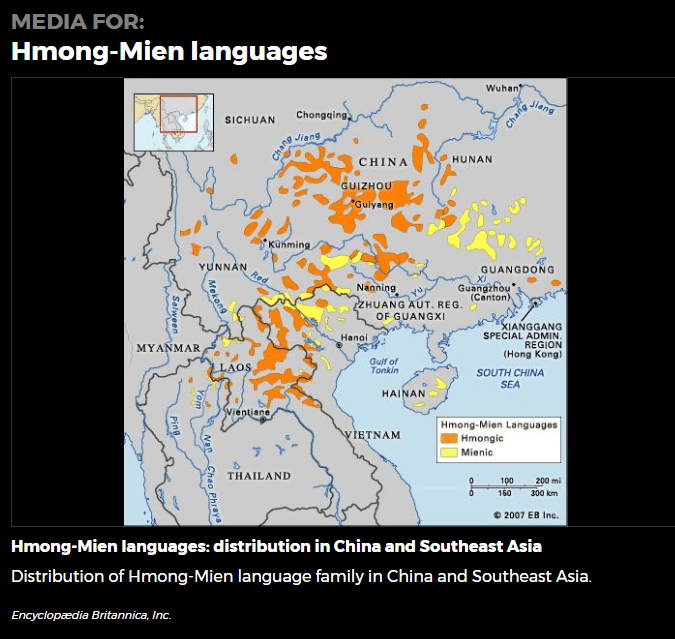 The Miao People of China are Hmong. This minority people is responsible for extraordinary arts and crafts, which are extending throughout the world – an accelerating commercial success. Recently Facebook was shocked by a video about Miao Dancing on Water: The Chinese Art of Bamboo Drifting. The Miao People migrate throughout Southeast Asia and, as the result of the Vietnam War, have settled in the USA and other Western Countries. The clothing, jewelry, dance, and music are all very distinctive, as is the Miao language itself (Hmong-Mien). This entry was posted in Culture, Economic Development, Maps and Places by admin. Bookmark the permalink.